The Earth is covered with rocks. When geologists analyze a layer of rocks, they’re looking at a slice of history. This means geologists are at the top of the totem pole for understanding Earth’s geological time scale. But geology is more than just rocks. For example, the are 37 branches of geology where a geologist can dive into. 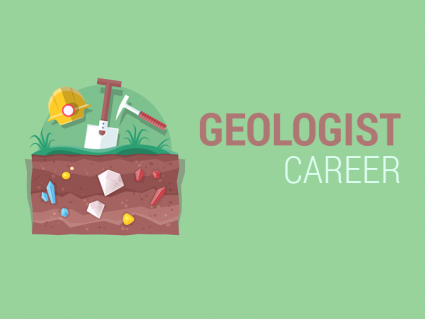 So let’s dig some dirt on geologist careers. How much do geologists earn? What do geologists do? What types of jobs are there for geologists? How much money do geologists make? Geologists earn anything in the range of 60,000 to 100,000$. But average salary is 66,800$. 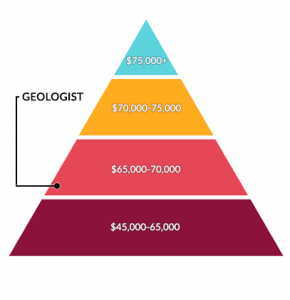 If you look at the environmental science salary pyramid, geologists are in the mid-range earnings group. There is high demand in the labor market for geologists. This trend should continue for some time depending on market conditions. Of course, this highly depends on education and years of experience. Generally, geologists work in an indoor and outdoor setting. Some geologists have the chance to explore new places and set foot where no one has been before. It’s a diverse industry that suits a wide variety of interests even in other Earth science branches. For example, geologists often work in mining, petroleum and engineering industries. Because geologists are tied to these types of markets, demand in geology careers can have a fair bit of fluctuation. The goal of exploration geologists is to discover new and unfound resources. Actually without the legwork from geologists and prospectors, the resource extraction phase would never exist. 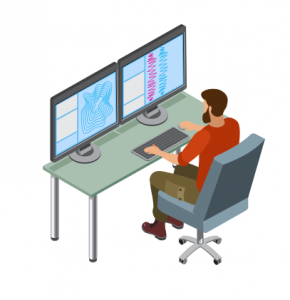 When prospecting for potential resources, there are 3 types of exploration types that geologists undertake. Grassroots exploration searches for minerals in an area that has never been searched before. Next, brownfield exploration is searching for additional minerals at a known site. Finally, on-site exploration expands an existing mine site from its current extent. Exploration geologists play a major role in resource extraction by collecting samples in the field. Using this field data, they interpret the data collected. After mapping what’s below the surface, the search for mineral deposits and petroleum becomes narrowed down. For example, banded iron formations are a significant source of iron ore in which steel can be manufactured. 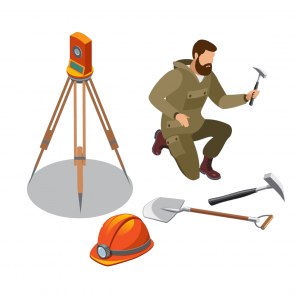 If you’re more geared towards geotechnical design, then an engineering geologist career suits you best. Their responsibilities include the analysis of rock and soil for underground and surface structures. For example, they often assist in the design of engineering structures life dams, buildings, bridges, tunnels and roads. This type of geologist is familiar with rock mechanics and structural geologic mapping. In addition, they relate rocks with the physical and chemical structure and the processes that act on it. Geology is truly a diverse field. We discover new things about our planet everyday thanks to it. For example, we can better understand disaster management by analyzing plate tectonics. Through seismology and tomography, we can enhance prediction models for phenomena like earthquakes, landslides and volcanoes. There is bedrock and surficial geology. From geomorphology, we can begin to understand how Earth’s landforms develop and how they change over time. When looking at rock strata, you’re looking at the underlying rock formations and when they were deposited. For example, Grand Canyon rock layers spans nearly 2 billion years of stratigraphy. Not only do geologists specialize in dating rocks, but they understand Earth’s geologic history and timeline in eras, periods and epochs. Rocks have been around for over 4 billion years. They’ve been around for much longer than you and me. In the Hadean Eon, all rocks were molten. With pressure and heat, minerals squeezed together to form new rocks like quartz and marble. Wind and rain break rocks into sand from erosion and mass wasting. Flowing water can mix dust and sand together. Then when the sand dries out, it can turn back into sedimentary rocks again. This process where rocks are formed, broken down and reformed has been happening for billions of years as part of the rock cycle.